Let’s start first with the list of materials that you will need to finish your quilt. 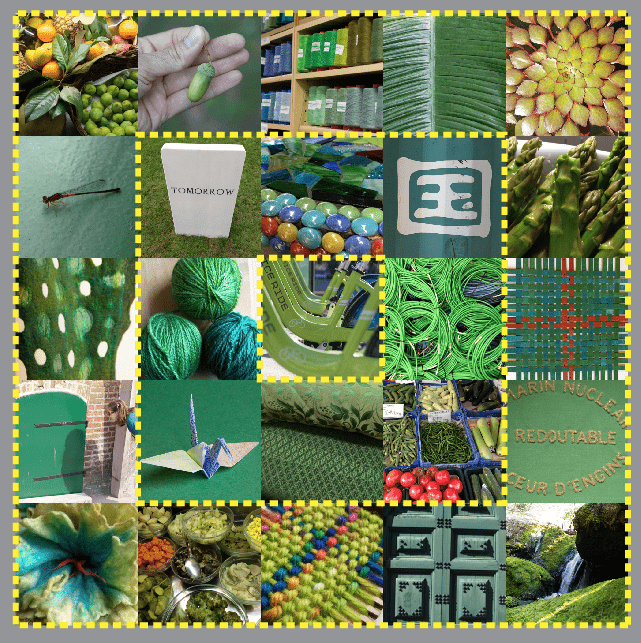 You can collect these materials and get everything ready so you are ready to sew when your fabric arrives. Quilt Backing & Binding: 2 yards of coordinating fabric. I ordered a coordinating gradient fabric from Spoonflower for the backing and binding. You could also use 2 yards of a solid color. If you choose another fabric, it needs to be the same width (56 inches) as your quilt top and should be a similar weight. Batting: 40 x 60 inches. I like 100% cotton batting for my quilts. My favorite is Warm & Natural by the Warm Company. Sewing needle. I recommend a small embroidery needle because they have a large eye which is easy to thread. Optional. If you want to tie your quilt instead of machine quilting, you will want to get embroidery thread or perle cotton in a coordinating color. I want to start out by saying right away that there is no “right” way to make a quilt. I am going to give you the steps I used to make this quilt, but there are many different ways to put them together. I used the sewing machine to assemble and do the quilting for my quilt, but you can also hand quilt or tie your quilt. I will talk about those options in the next lesson. Make sure your sewing machine is in good working order. Take a minute to brush away the dust and lint. It is always a good idea to put in a new sewing machine needle when you start a big project. For this project, you need just a basic needle for mid-weight fabrics. Choose a thread color and wind a bobbin or two. For my quilt, I chose to use a rainbow variegated thread in the bobbin for everything and I switched colors for the top thread to match the colored block I was quilting. Make sure you have plenty of space. This will be a somewhat large and unwieldy piece of fabric to be stitching. Make sure you have extra table space to the side and back of your machine so that you can move it around freely. 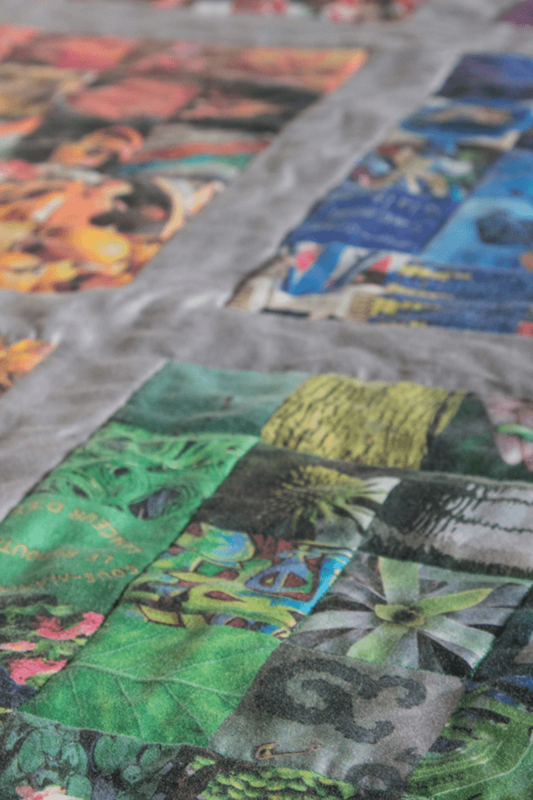 If your machine has a walking foot, you might consider using it for this project as they are designed to help with thick layers of fabric and will help keep the layers from shifting as you quilt. Here is a post that tells you more about walking feet and how to use them. 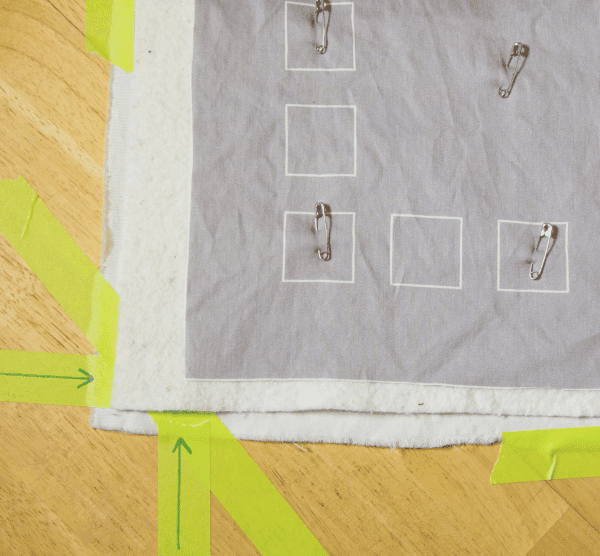 These are some basic sewing skills and vocabulary to review before you start making your quilt. If you don’t feel confident, practice with some scrap fabric before you dive into your quilt. Potholders make great practice quilt projects! Straight stitch. 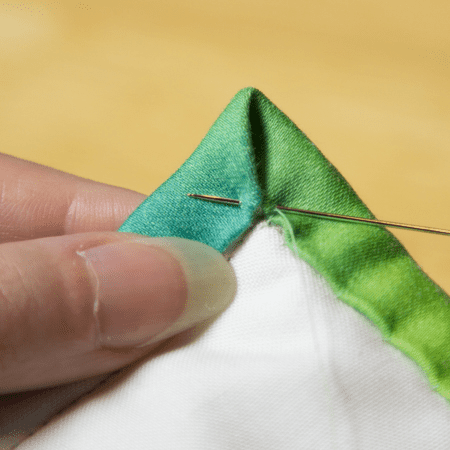 Set up your machine to stitch a basic straight stitch. For my machine, I like a stitch length of about 2.5, which is about 10 stitches to the inch. Make a swatch with a couple of scraps of fabric and batting and see if the stitches look the way you want them too. Pivot. I traced concentric squares around the center, middle row and outside edge of all of the patchwork blocks with quilting. This means I am going to need to pivot at a lot of corners to make those squares. To pivot, slow down as you get right to the end of the quilting line. Stop with the needle in the fabric. Pick up the presser foot, rotate the fabric 90 degrees, and put the presser foot back down to continue stitching. Backtack. 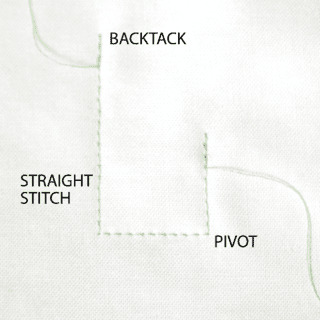 Backtacking means to make 3-4 stitches in reverse at the beginning and end of your stitching line. This reinforces the end of the stitching. We will use this when putting on the quilt binding. Selvedge. 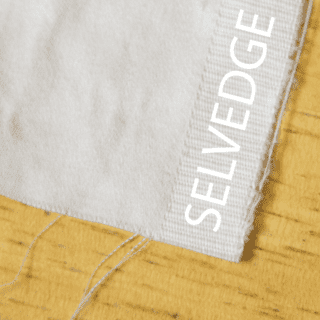 The selvedge edge of the fabric are the finished woven edges that follow the lengthwise grain of the fabric. Binding. The quilt binding is the narrow strip of fabric around the outside edge of the quilt that you use to finish off the raw edges. For this quilt, I used the extra backing fabric to make the binding as well. As soon as you have your quilt fabrics, take a minute to admire them and then wash, dry and press each fabric. I always pre-wash fabrics because I want to make sure that if they are going to shrink or change in any way that they do it before I sew. 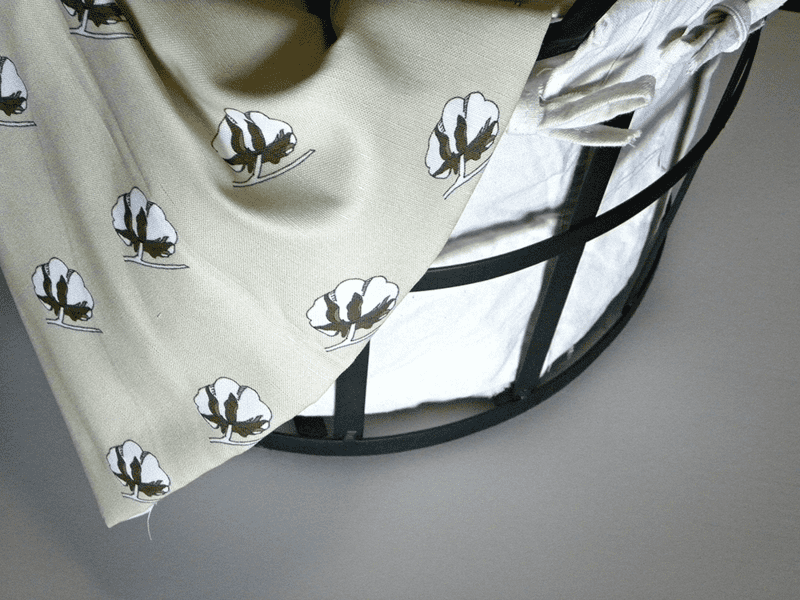 For sateen fabric, Spoonflower recommends to machine wash warm or cool on a gentle/delicate setting, using phosphate-free detergent. The first step in the quilting process is to trim your fabrics to size. Quilt top. Trim away the selvedges and extra unprinted edges. Set this aside. Backing. Cut a piece from the 2 yds of backing fabric that is 56” (full width) x 40 inches. We want the backing to be a little larger than the front to start. Binding. Fold the remaining piece of backing fabric in half, matching the selvedges. We will cut these pieces doubled, perpendicular to the selvedges. Using the rotary cutter and ruler, cut 4 strips that are each 3 inches wide. Trim away the unprinted edges and selvedges. The remaining backing fabric you can set aside for another use. Laying out the quilt layers. backing fabric. This will help you line up the top layer. Place the batting on top of the backing fabric. Starting from the center, smooth the batting all the way to the edges. The batting will want to stick to the backing fabric, so you may have to pick it up and lay it back down if you have large puckers or wrinkles. Place the quilt top face up on the top. Placing the quilt top takes just a little patience to get it aligned just right. 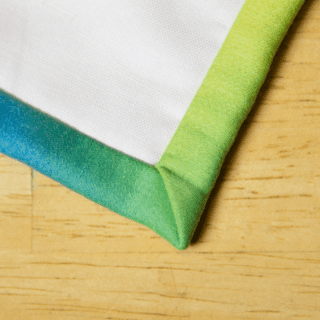 Since your backing fabric is exactly the same printed width as the top, you want to alight carefully so that the top isn’t hanging over into the unprinted area. Use the extra tape marks to help line it up. Again, starting in the center, smooth the fabric all the way to the edges. Be careful not to distort or skew the fabric. Patience will pay off. Using the safety pins, pin through all of the layers about every 4-6 inches. I put about 9 pins in each patchwork block and then put a pin every 6 inches around, placed about 3 inches in from the outside edge. Use lots of pins. They are going to keep everything from shifting as you quilt it. It is important to do something to hold all of the layers of the quilt together and that is where quilting or tying comes in. You have 3 options for quilting your quilt: by machine, by hand, or tying. Machine quilting. I machine quilted my quilt by stitching concentric squares in each patchwork block. I chose a top thread color to match the color of the block and used rainbow variegated thread in the bobbin for everything. I started quilting with the two blocks in the center and then worked towards the outside. Use a straight stitch and backtack at the start and stop. For each block, I started with the small square in the center and worked to the outside, stitching around each edge of the square and pivoting at each corner. Some tips for machine quilting. Roll up the part of the quilt you are not working on. This rolled edge will give you an easy way to hang on to the quilt and will keep the extra fabric out of the way. I use both hands to guide the fabric, holding the quilt rolls on both sides of the needle and pulling it slightly tight from side to side. I think this helps keep it from forming little puckers under the needle. Be patient. The layers of fabric will want to shift a bit, especially when you get to the corners where the start and stop of your stitching meets. Stitching slowly and taking time to smooth everything out will help. Hand quilting. 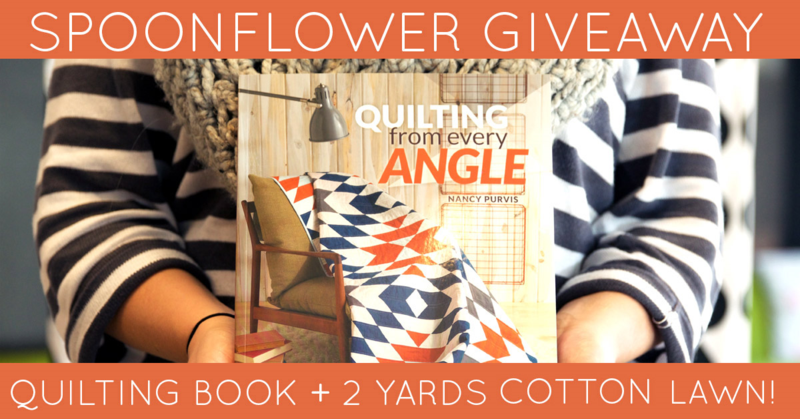 You can choose to hand-stitch your quilting lines. 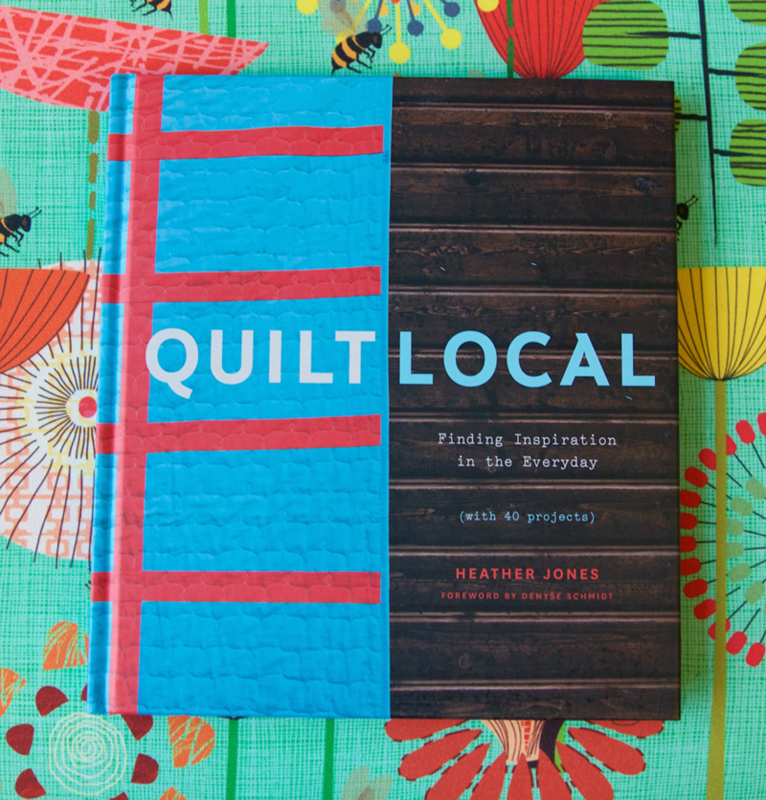 There is a great tutorial here with tips to get you started with hand quilting. Tying. Tying is probably the quickest way to finish your quilt. Use a long piece of embroidery thread doubled over. From the front side, make a small stitch (1/8 inch) through all of the layers of the quilt, leaving a 2 inch tail. Stitch again very close to your first stitch and pull the thread through again to the front. Trim so you have another 2 inch tail. Tie the two ends together using a square knot. You want to make ties about every 4 inches all over the surface of your quilt. When you are done quilting, switch the stitch length on your machine to be slightly longer and stitch through all layers about 1/4 inch from the outside raw edge of your quilt. Trim away the excess batting and backing to match the quilt top. You can remove the safety pins. Join and press the binding. Join the binding strips together end to end, using a 1/4 inch seam allowance to make one long strip. Press the seam allowances open. Now fold the binding strip in half, matching the long edges of the binding strip together and press. Stitch the binding with a mitered corner. Set the quilt on a table face up. Starting in the middle of one side, match the raw edge of the binding strip to the raw edge of the quilt. 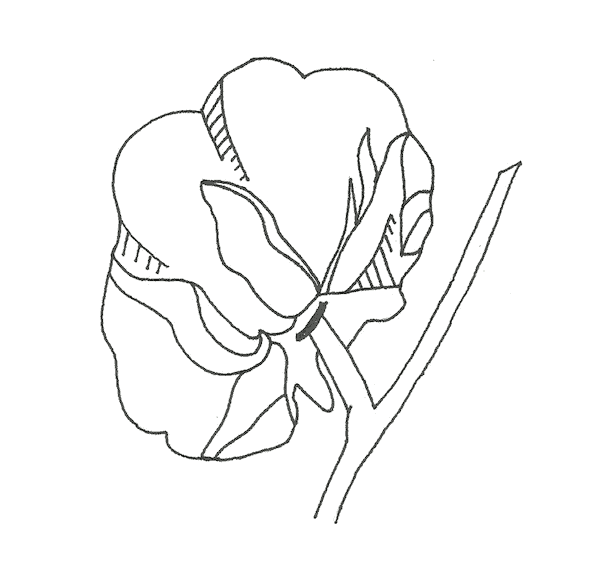 The folded edge will be towards the center. Pin the strip in place until you are 1/2 inch from the corner. 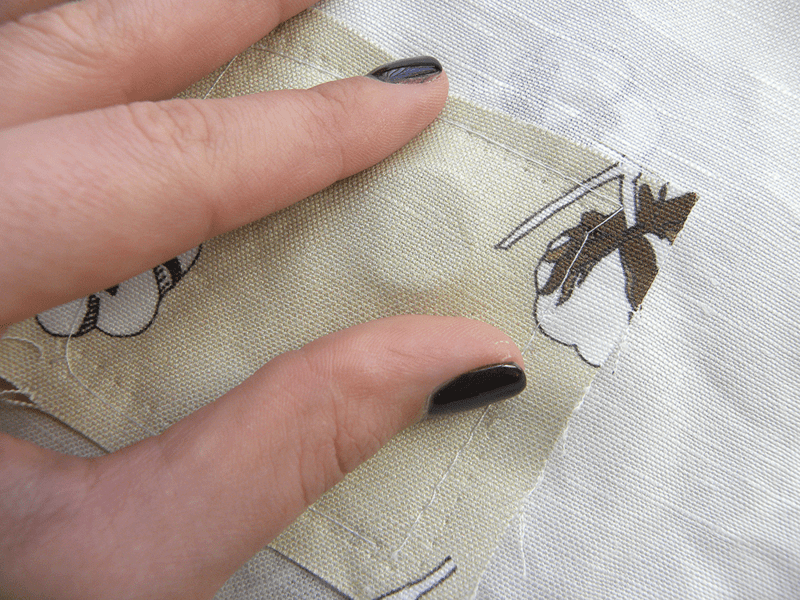 Place a pin at 1/2 in from the corner to mark where you should stop stitching. Starting about 1/2 inch from the end of the strip, stitch 1/2 inch from the raw edge until you reach your stop mark. Don’t forget to backtack at the beginning and end. To make the mitered corner, fold the unsewn tail of quilt binding straight up, so that its raw edge is parallel with the next side of the quilt we are going to stitch. Right at the corner where you stopped sewing, there will now be a 45 degree fold. Fold the binding down, so the next fold matches the edge of the quilt top behind it and its raw edge is aligned with the next side of the quilt. Pin the corner folds and edge of the quilt and then stitch this new side, stopping again 1/2 inch from the corner. Repeat for all sides of the quilt. When you reach the beginning of the binding, overlap the ends, trim away the extra binding fabric and join the lines of stitching. To finish the binding, fold it over and turn it towards the back of the quilt. 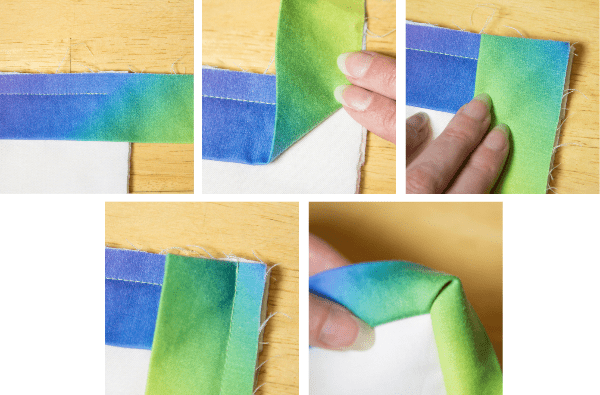 Use a needle and thread with small slip stitches to secure the folded edge of the binding to the back of the quilt, covering the raw edge and the line of stitching. If you don’t know how to do a slip stitch, there is a nice tutorial here. When you get to the corners, the miters should just fold into place in the front and you just need to make a little tuck to make a matching miter on the back and stitch it down as you go. Please show us your finished quilts by sharing a photo using hashtag#SpoonChallenge on your favorite social media outlet! We would love to see them. Announcing our Second Annual 12 Days of Design! 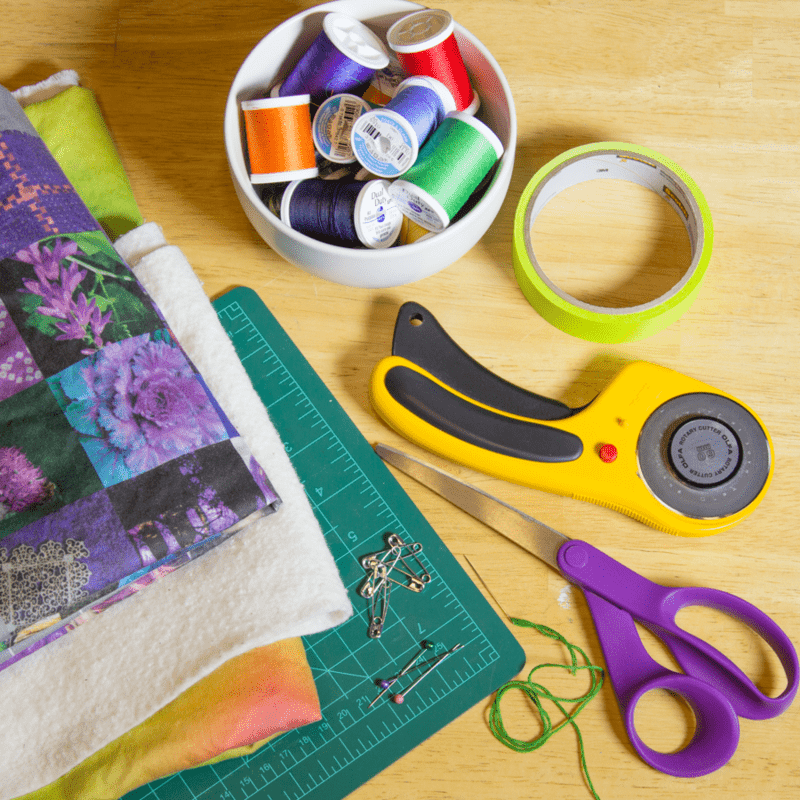 Want to spend 12 days learning how to take the glimmer of an idea to a finished fabric design? Join us for 12 Days of Design! WHAT? We're wrapping up the year with 12 days devoted to learning how to create a textile design from start to finish. Take a break during this hectic time of year for a personal challenge as we walk you through each step in creating a design ready to upload to Spoonflower. Sign up to recieve daily tips via email starting December 7th, 2015 to guide you through the fabric design process. Will you accept the challenge and create a textile design? HOW? 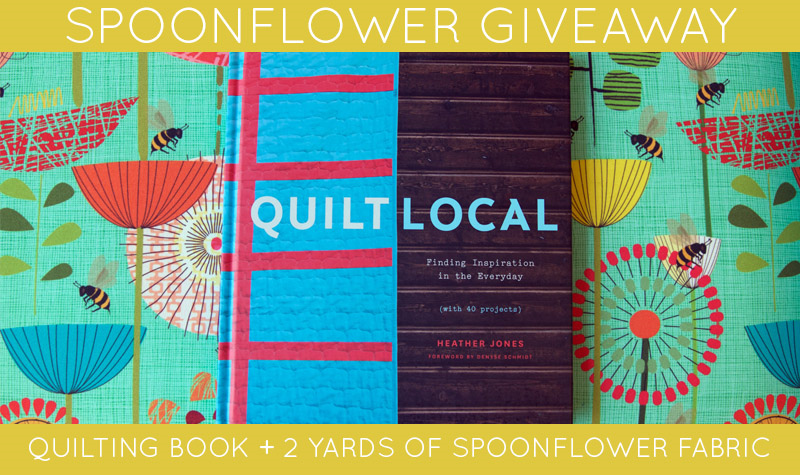 All you have to do is follow along as we provide daily tips on finding inspiration, creating a design element, and uploading to Spoonflower. If you'd like, snap a photo of your progress and use the #spoonchallenge hashtag each day to share your process. You can use this hashtag on your social media outlet of choice. 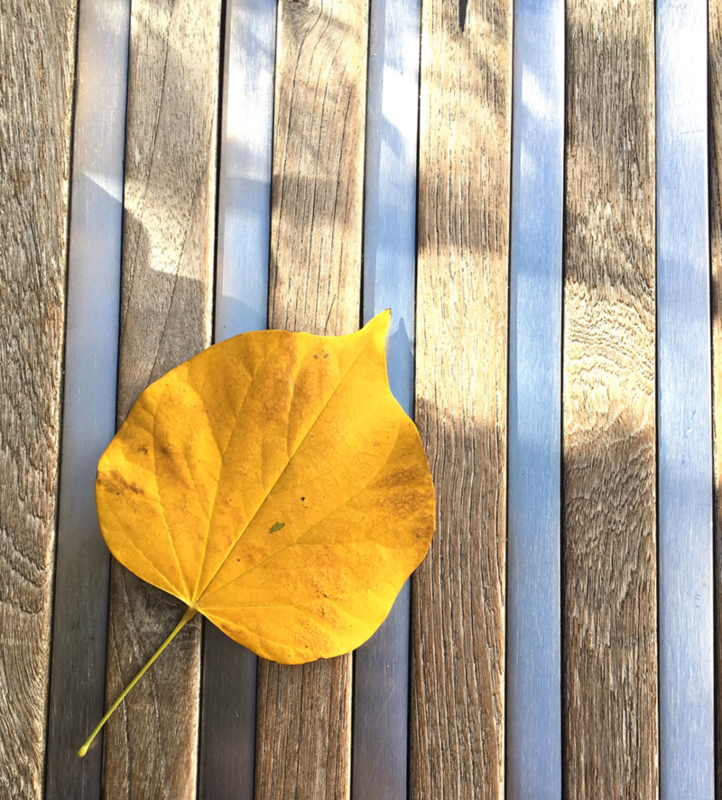 We'll be rounding up our favorite shots each week to share on the blog! Choose a colorway or theme. 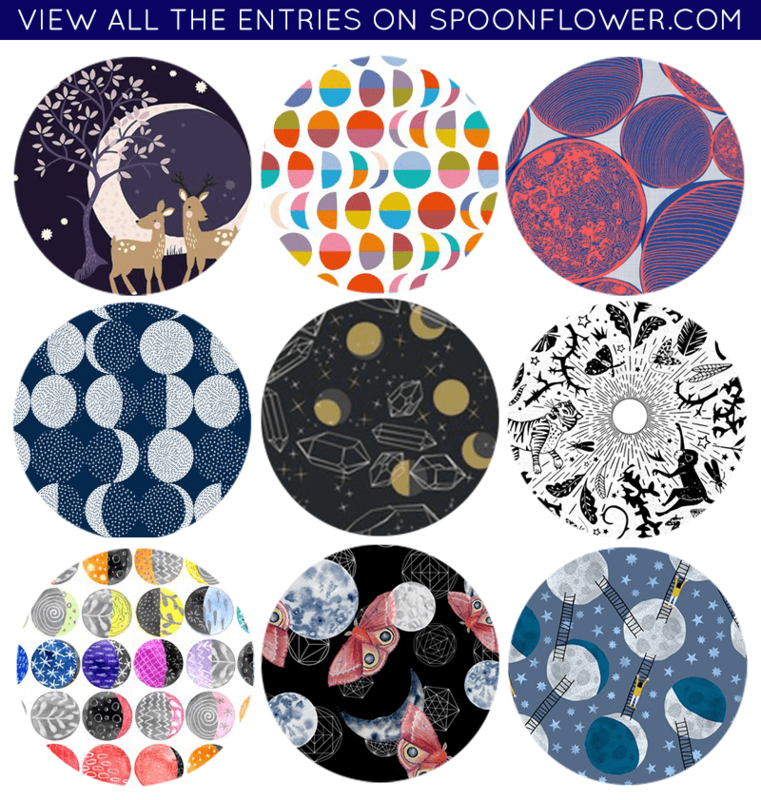 Vote for Your Favorite Moon Phases Fabric! With an astonishing 368 entries to the Moon Phases contest, it seems as if everyone can relate to the peculiarities of the lunar cycle. Cast your vote for your favorite moon phase design before next Wednesday! Have you always dreamt of designing fabric but didn't think you had the skills or tools? Samantha Lanier of Live Laugh Lanier visits the blog to share how anyone can be a textile designer by following her simple steps to creating your first surface design! This past year I discovered the magic that is Spoonflower. As most of us can admit, the initial concept of creating our own fabric is super exciting; however, it quickly becomes SCARY for those who have no design experience and who don’t have access to top ­notch programs like Photoshop. I’m here to tell you that even ‘amateurs’ like us can create a basic­-yet-­fabulous surface pattern using the advice and user-friendly programming at Spoonflower. Your allies: creativity, GIMP, and repeating tile options. First ­things ­first…THINK SIMPLE. I know we all adore those seamlessly overlapping patterns, but as a beginner it’s okay to take baby steps. To be honest, some of my favorite patterns are those that provide visual simplicity, slight imperfection, and a real hand­made look. 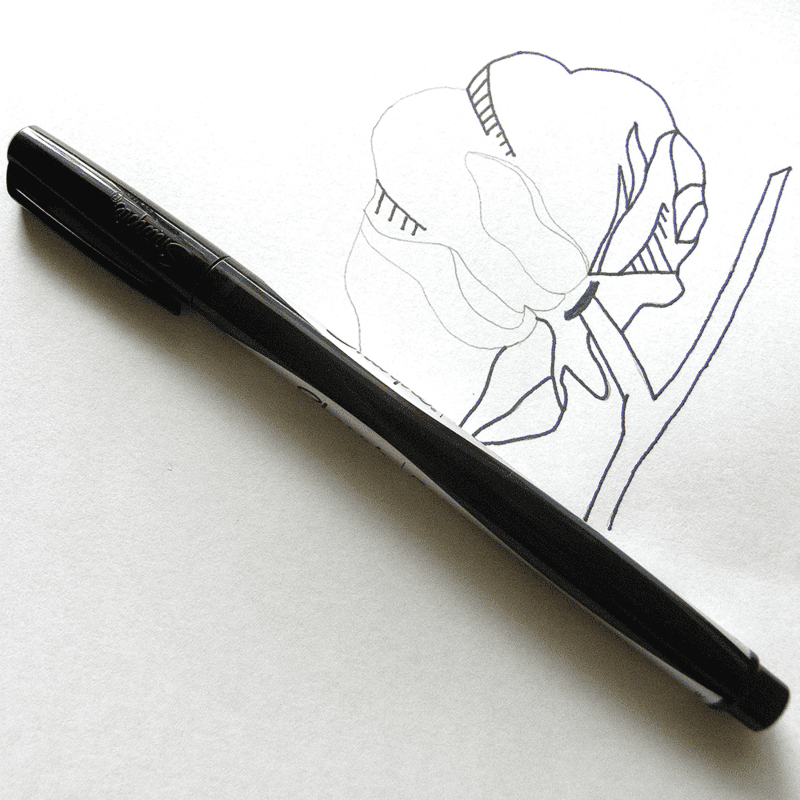 I begin with a pencil and then trace over the sketch with a fine point pen. Be sure to save the file as ‘original’ so it’s easy to relocate. Download GIMP. Click ‘file’­­>’new’ and enter 450×450 pixels/inch. Click ‘file’­­>’open as layer’­­>’original’­­>’open’. Click ‘layers’­­>’scale layer’ and enter 300×300 pixels/inch. To save your work for Spoonflower, click ‘file’­­>’export as’­­ >’name.jpg’­­>’export’. *Color option: Highlight areas to be colored with the ‘wand selection tool’ and fill them in with color using the ‘paint can tool’. GIMP will provide every color option for you if you set the color square prior to using your paint can. Be sure that areas selected are completely closed to ensure the color remains in the intended area. Log on to Spoonflower. Follow the directions for uploading a design. 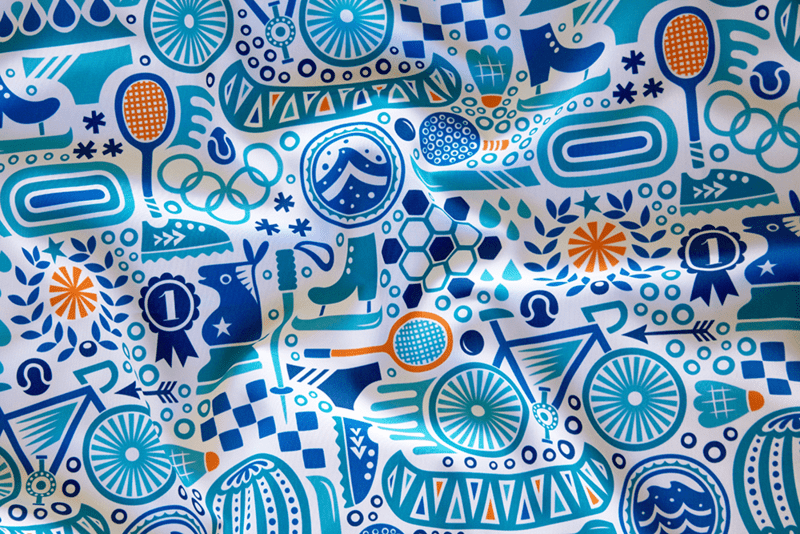 Navigate to your design library and select which repeat pattern highlights your design best. Be sure to save your work! There you go! Note: These dimensions correspond to the fabric I’m using in this tutorial. To change the size of your image you will just need to increase/decrease the dimensions accordingly. 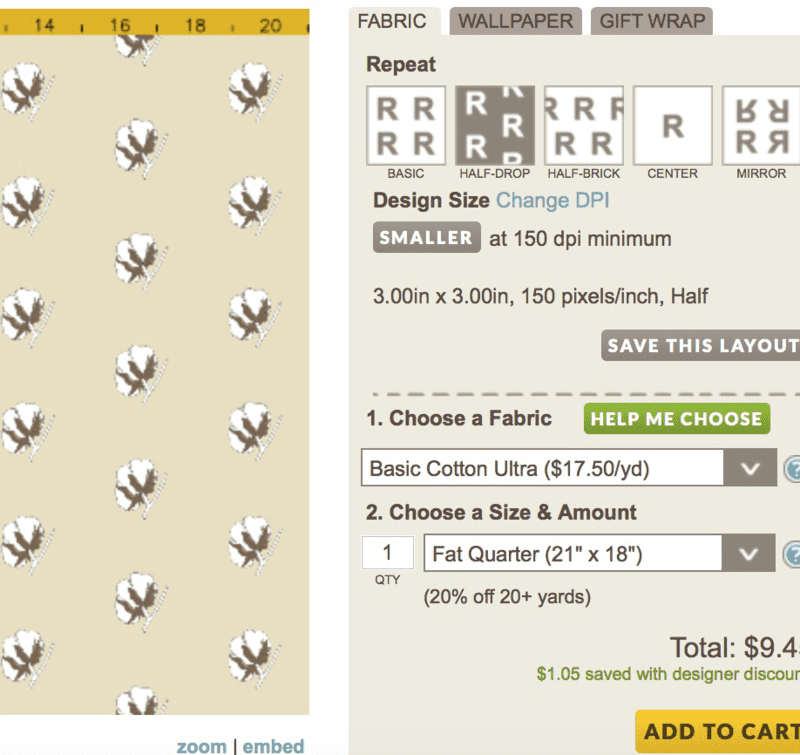 It took me three tries to get the size I wanted by saving the file, adding it to my design library on Spoonflower, and viewing it using the repeat pattern of my choice. 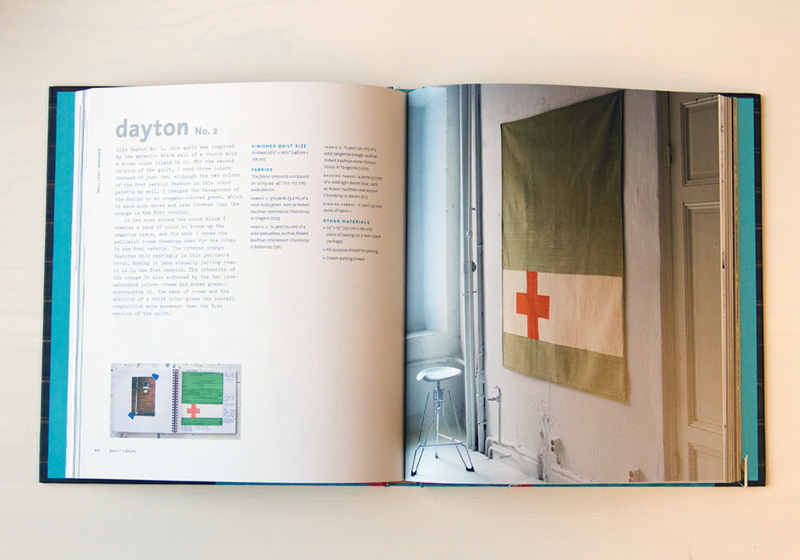 Only 4 days later, my beautiful Linen­ Cotton Canvas Ultra arrived and I dare say that the result is basic­ yet ­fabulous! 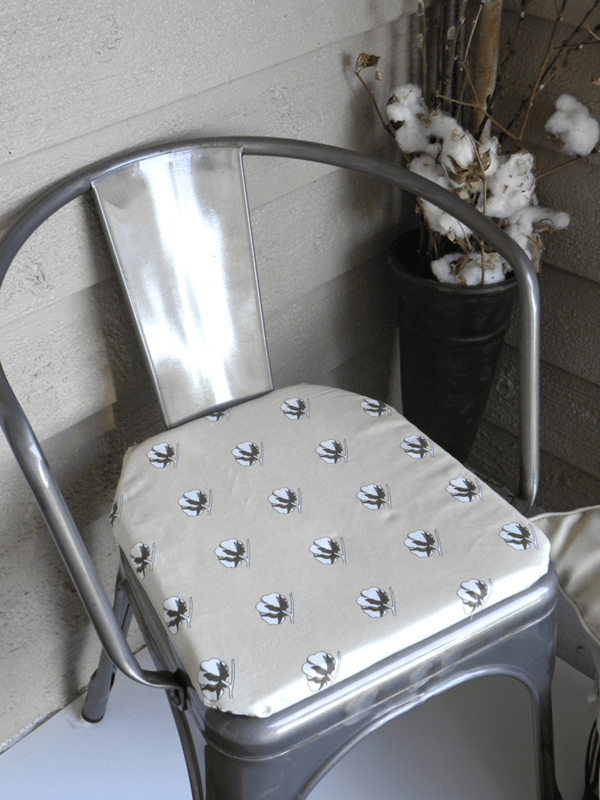 You know all of those glorious industrial metal chairs everyone is obsessed with these days?! Yes, I am the proud owner of a few myself. I absolutely love the metal; however, when my family isn’t at the table, I relocate my extras into different rooms. One is currently placed in my reading nook. I love the metal look, though for this room it would benefit from a softer, more­ cozy look. What better way to do so than adding a cushion­, am I right? My recent addition of cotton buds into my decor inspired the design for my fabric. 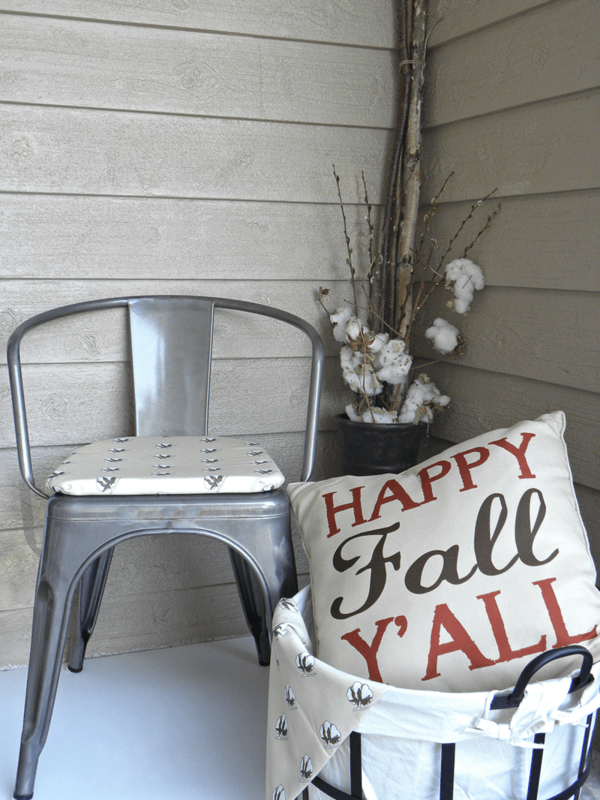 Next, all I had to do was create a basic cushion cover and attach magnets. To do so, I folded the fabric in half and cut out the dimensions specific to my chair size. Using the scraps, I cut 4 small squares and sewed them to the inside of half the fabric, being sure to place 1 round magnet between the layers. After I had my template with magnet pouches attached, I folded the fabric in half again (pattern­side facing in) and sewed both sides. I then turn the cover right­side out and stuffed a 1­inch thick piece of craft foam (pre­cut) inside. All that was left to do was sew the top edge and stick it to my chair! I hope you enjoyed this two­part tutorial and good luck on all your upcoming Spoonflower adventures! Samantha is an up-and-coming blogger from Central Florida. When not maintaining her career as a speech-language pathologist, Samantha is blogging about the everyday aspects of her life as a newly-wed, career woman, and new homeowner. 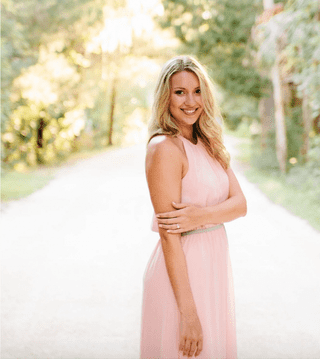 Her blog 'Live Laugh Lanier' provides a variety of posts for readers including recipes, home decor, DIY projects, beauty tips, style guides, travel tips, and lifestyle advice.